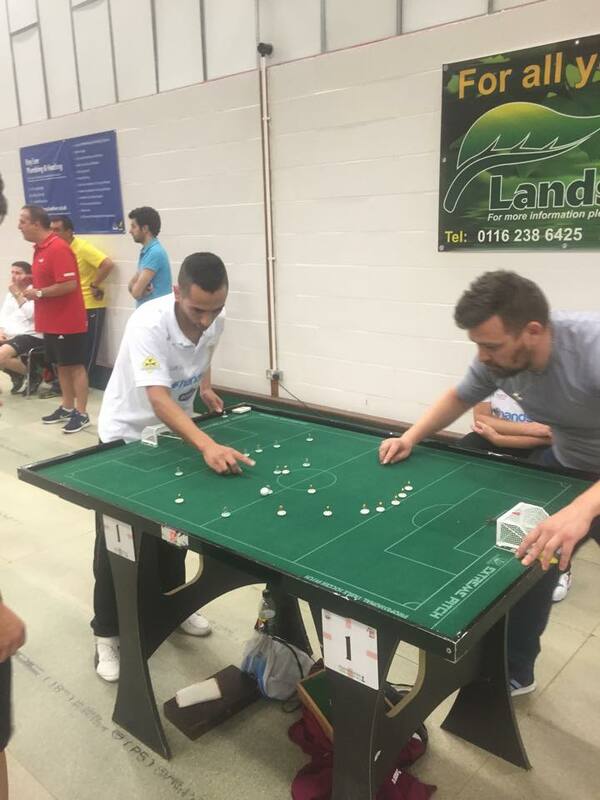 The first ever Major of England went very well with over 100 players over the two days. With the event moving to London next year we expect to double that figure! Firstly a massive thank you to Marcus Tilgner who did so much to make this event a success including designing the competition logo, designing & producing the name plates for the team competition, spending hours before the weekend updating his tournament software and working over 27 hours over the weekend helping to organise. His Berlin clock was very well received and the pre printed team sheets were excellent! Thank you also to Terry Arnold who helped organise over the weekend and kept the website & forum up to date. Thanks to Ben Staples for also helping out especially sorting the gaffer tape to hold the new tressle tables together! Also a big thank you to all the Kent players who put the vast majority of the equipment away at the end of the tournament. Much appreciated. Special mentions to Bob Green & Dave Croucher who gave up their time along with Terry on Friday evening to help set up the tournament. Also a big thank you to Matt Lampitt who took a day off work on the previous Friday to lay the new & improved Extremeworks pitches, which played excellently! Overall it was a great success with a high quality field present. We are proud to have been the first ever Major to offer plate competitions (7 of them) including 5 WASPA events!